The Lions' Share: March flew by . . .
March flew by . . .
. . . and April came quickly. April is National Poetry Month. 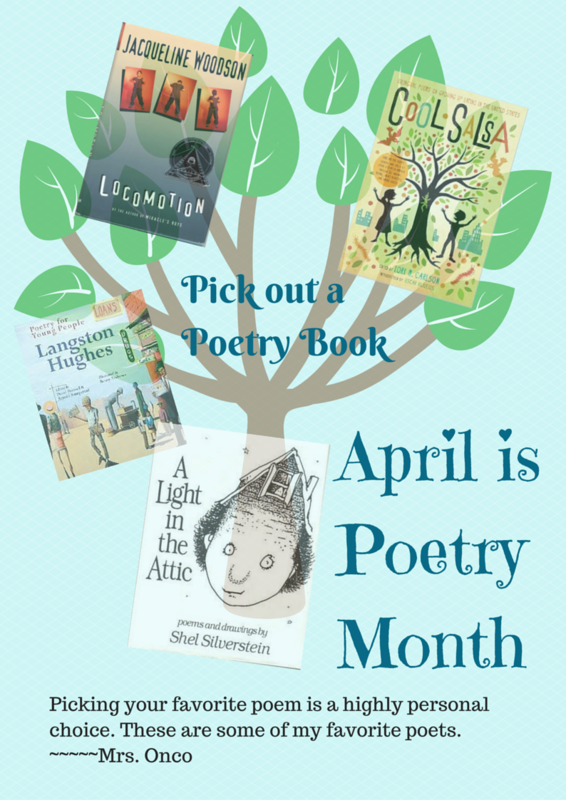 In the past, I’ve always had a poetry contest and celebrated poetry month to it’s fullest in the library. This next week in the Reading classes we’ll be looking over our databases for researching and the bookmark contest will begin. (The bookmark contest is a popular IMMS tradition.) Then STAAR 2 will be upon us. . .
All that aside, poetry does deserve to be recognized and celebrated. Poetry is a highly personalized thing. I’m calling poetry a “thing” because I don’t think there is a single, “correct” definition of what poetry is. It’s something different to different people. We can all agree that it’s beautiful writing, but how it looks on a page or how it’s read is interpretation. For instance, to me, Shakespeare has written some of the most beautiful poetry in his plays. In a more modern-day style, I’m drawn to almost anything by Langston Hughes, though I think his Dreams poems are my favorites. Instead of two cats there weren't any. Poetry cannot be defined or even discussed in a short blog. Poetry is everywhere. I see it in the mind-catching beginning of a good story, an expertly written advertisement and occasionally in a really good blog or tweet. . .